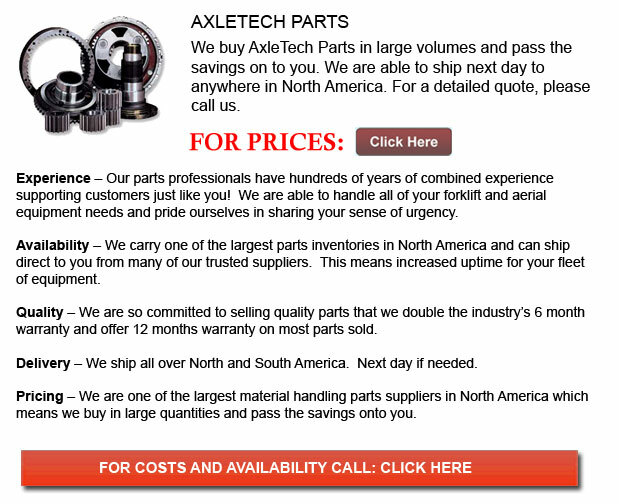 Axle Tech Parts - AxleTech International is a premier supplier in the world of specialty vehicle drive-train systems and parts together with off highway vehicles. The business prides itself on being its customers' chosen supplier. AxleTech strives to meet and exceed their customers' expectations for quality, service, technology and delivery. They believe in working within an atmosphere which supports the utmost integrity with empowered teamwork, together with a unremitting pursuit of results. AxleTech International is a General Dynamics business. They believe strongly in actively using principals of environmental stewardship and safety in how they do business. The company has put various programs in place in order to articulate these values in their business policy. AxleTech gladly shares this policy and welcomes interested parties to provide them with any questions or comments, since they are glad to promote and share this policy with a greater knowledge of their efforts. They are very committed to preserving and improving the natural environment. AxleTech has an EHS program which not just protects the natural environment but which even actively protects their neighbors and staff too. AxleTech prides themselves as being an innovative drive-train solutions provider. They specialize in designing and manufacturing planetary axles used for both military and commercial applications. These applications range from airport ground support to construction equipment. AxleTech particularly designs axles to meet certain application demands. They have more than one thousand different axle specs within their existing offering. With more than one hundred years of history and experience, AxleTech proudly supplies the most complete solution for any of your axle needs. The business is well known in numerous military and commercial applications. They offer complete axle assemblies for aftermarket replacement needs, along with servicing axle requirements for OE production. Their high mobility ISAS have added details which can be seen in the "ISAS" product collection.